Perhaps it was done for the Greybies. Or, maybe the folks at Target are really just that naive. 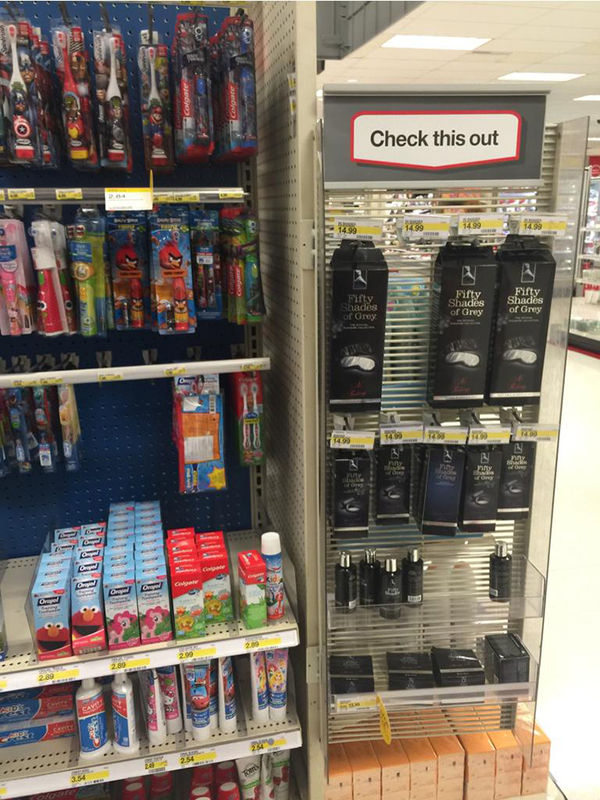 Either way, the placement of “Fifty Shades of Grey”-themed “adult novelties” found their way to a Target store end cap recently, parked right next to children’s dental products (see photo below).